A once dark, dreary + dysfunctional kitchen was transformed into a light, airy + inviting kitchen. 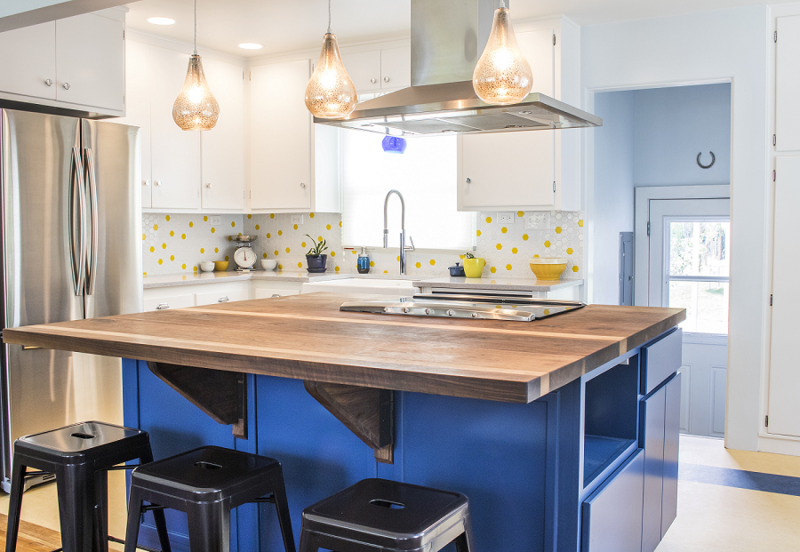 We removed a wall, engineered a new support beam, and installed new flooring, island, under-cabinet lighting, quartz countertops and a playful backsplash. Featured in the NARI Idaho 2016 Remodeled Homes Tour. I wasn’t expecting a work of art for my kitchen, I just wanted it to work better and I knew some of the things I wanted … I just dream it, Sarah makes it come true. — Susan DittusTour.